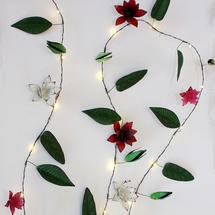 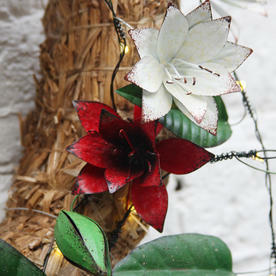 Pretty botanical metal fairy lights for alfresco entertaining. 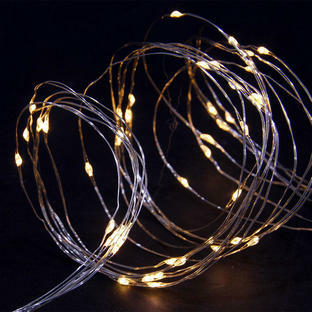 These lovely botanical string lights are perfect for summer entertaining and dining. 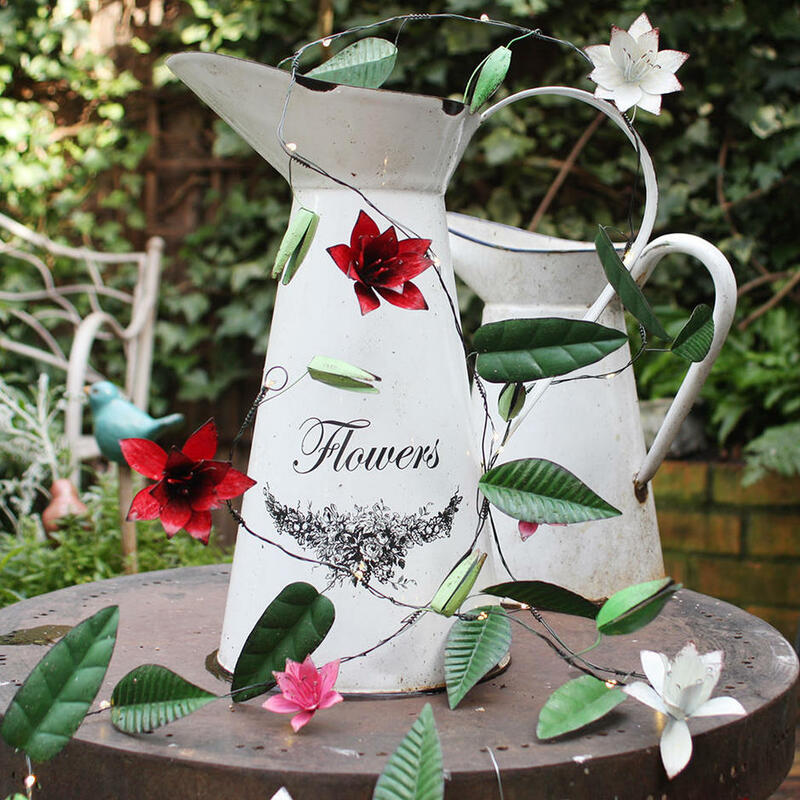 Made with painted metal leaves and flowers, simply wrap and wind the lights round pergolas, parasols or use as a table display when alfresco dining. 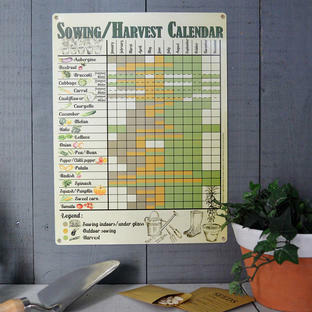 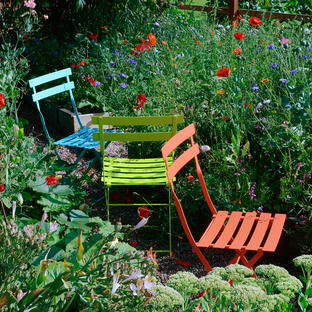 Please note Outdoor use may alter product colour with time.